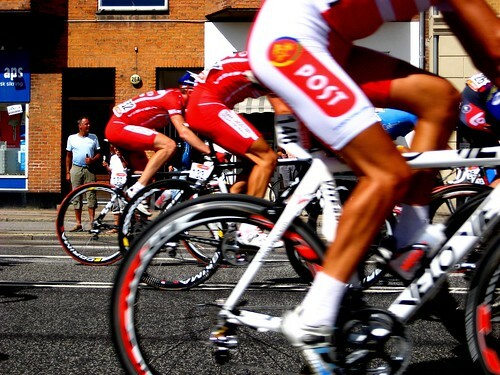 Le Tour de France starts soon and there was an interesting article on a Danish online newspaper entitled "Put on your cycling clothes, throw out the rulebook"
"When we put sport into cycling, we forget both traffic laws and safety equipment. Maybe the neon-coloured cycling jersey is a little tight around the stomach, but in the head it's easy to imagine you're on your way to a historical stage win in the Tour de France. The interest in hobby cycling moves up a gear when the French race rolls over the tv screens with dangerous sprints with built-in risk for crashing and the dramatic mountain stages where even the strongest crawl to a halt. But when we as hobby cyclists on every level pull on our cycling shorts, jersey, helmet and sunglasses and roll out onto the Danish roads, we apparently forget that the usual rules for cyclists still apply to us. 'When hobby cyclists [ed: motionscyklister in Danish, which means 'exercise cyclists'] put on all their gear there is an unfortunate tendency to not worry about the rules and to respect others. It's unlucky, because they're very visible in the traffic', says Vice Police Inspector Kristian Thomsen from East Jutland Police." Visible indeed. When most Citizen Cyclists look like this, the lycra crowd do stand out. Even just cycling around Copenhagen, I am slightly faster than most and overtake more cyclists than people overtaking me. Still, I'm only rolling around at about 20 km/h and not breaking into a sweat. Who are the people who blow past me? People with gear who tsk tsk those who are riding casually along. Muttering and swearing under their breath and shaking their heads demonstratively at every moment they are forced to touch their brakes. Fortunately, it's rare. Maybe we should reserve certain routes for these commuters and leave the rest of the safe infrastructure for the rest of us? Or speed limits for cycling? Just not 10 km/h, like a section of a bikeway in Brisbane. Came across these policemen clearing a bunch of abandoned bicycles off the streets the other day. They had been tagged, of course, and people were given a decent amount of time to remove them - or show that they were in use. Funny... in Danish they are called "herreløse" bicycles - which I suppose translates directly to "master-less" - like dogs who no longer have a master to take care of them. One of the extra-curricular events at last week's Velo-City 2010 conference was a 'Bicycle Parade' through the streets of the capital. There were about 1500 participants, most of them delegates from around the world at the conference. Selling the idea of a bike parade to Copenhageners is tough. Very few would show up for a vacuum cleaner event. Nevertheless, it was a lovely ride in the bright sunshine - at an incredibly slow pace compared to the rides I've been on in Japan, Budapest, San Francisco or even La Rochelle. I've got loads of photos to upload but above is a teaser from Clarence of Streetfilms, who had a ball in Copenhagen during the conference. There was loads of music and chats with good friends. 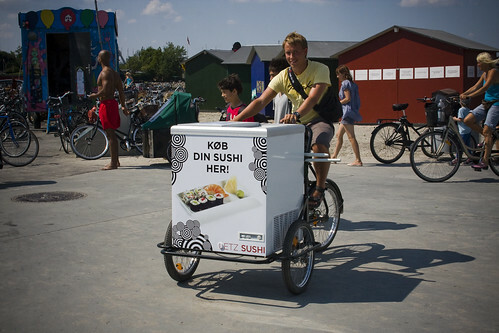 This bicycle ride thing is rather foreign in Copenhagen. During the activism of the 1970's and 1980's there were massive rides by citizens demanding safe infrastructure but it's been awhile. 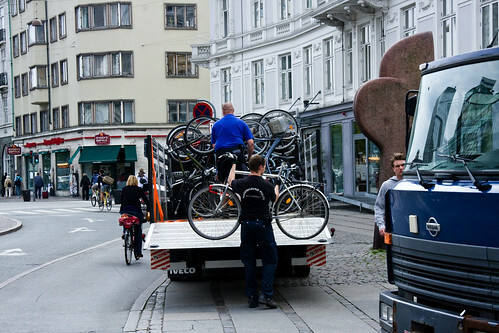 I was looking forward to seeing how Copenhageners reacted to a large, slow-moving group of people on bicycles blocking the early evening traffic. There were people who stopped to look at the spectacle, but most of them were on foot or leaning out of windows. They were smiling, as a rule. If you looked at the traffic - bicycle and motorized - it was a different story. Many participants noticed how people were pissed off at having the streets blocked. Car horns honked and sour faces peered out from inside windscreens. Even the two-wheeled traffic was annoyed at the hindrance. It got to a point that several of us rolled past warning them that it could take 10-15 minutes for the parade to pass. This information was usually greeted with a 'tsk' or a muttered swear word as they turned their bicycles around to look for alternative routes. I enjoyed the ride but it's clear that blocking the streets with a bicycle parade didn't appeal to those who were trying to get somewhere else. An interesting anthopological observation from mainstream bicycle culture. Velo-City Global 2010 wrapped up last Friday, although for some of us it continued right up until Sunday night. It was a brilliant week. Absolutely brilliant. My brain is still spinning with all the good experiences and all the wonderful people I met. The social strength of the bicycle indeed. As I said in my keynote speech, isn't it amazing that the simple bicycle can generate enough content to fill a four day conference attended by over 1000 people from every continent? That a machine invented 125 years ago can serve to bring us all together on an academic - but also on a social level? I was interviewed by the Velo-City organisers and one of the questions was that while many people were keen to chat with me... what did I get out of all of this? The list is long but the most important thing I cycle away with is this: The Buzz. I've watched this mainstreaming of The Bicycle for over three years now and the curve is consistently upwards but I really am struck by the energy radiating from all the participants. I really sense that there is an irreversible buzz and drive about not only returning The Bicycle to the urban landscape but creating the culture and infrastructure to make it possible. There were many faces I recognized from the Velo-City 2009 conference in Brussels but this being a global conference there were so many new ones - and from unexpected places. The city of Ottawa, for example, sent 11 people to Copenhagen. I met Turks and Romanians, Calgarians and Koreans. I'm going to put my money on this bicycle thing. On the fact that the curve took a sharp turn upwards and that there is no peak in sight. Not with this much interest. Not with this much blossoming political will to build infrastructure and the ever-widening mainstream support all over the world. Feel the buzz. Trust me, it's magical. I enjoyed every conversation with all the people I talked to. It was brilliant to meet you all. Now I'm left with a billion photos to edit through. I'll get started. Sorry for not having the time to write of late. After my visit to Dublin [WHAT a cycling town!] 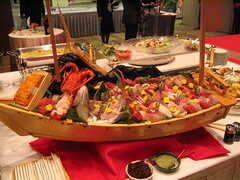 I've been busy preparing for the Velo-City Global 2010 Conference. It kind of kicked off today, even though it starts tomorrow. 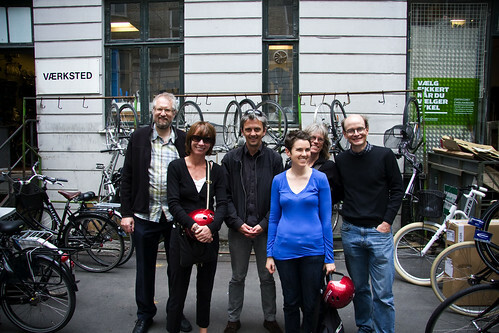 I took Janette Sadik-Khan - NY's Commissioner for Transport [can never remember all those fancy titles] and a group of New Yorkers - and a Chicagoen - on a little tour of Copenhagen's bicycle life´, together with Jeff from the League of American Bicyclists. It was a lovely bike ride around the city. Showing off the highlights. Tomorrow morning I'm hosting - again with The League - a tour around the city for a large group of American and Canadian delegates, with a stop/photo op at the American Embassy for good measure. Then Velo-City kicks off at noon. Should be great. I'll be giving my keynote at 09:30 on Wednesday. 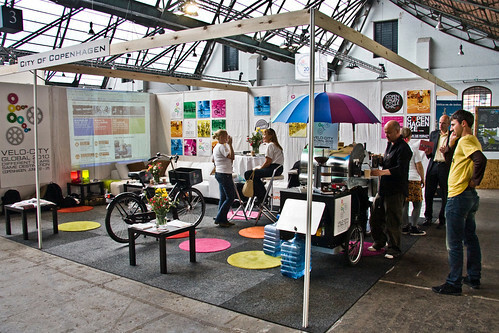 The Copenhagen stand at Velo-City 2009 in Brussels last year. 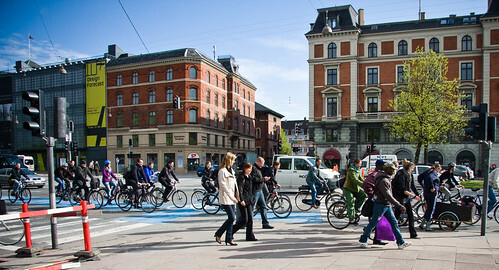 The Velo-City Global Bicycle Conference 2010 is fast-approaching. The list of participants is long and exciting and it's great to see so many NGOs represented, as well as people working for cities and towns. The Velo-City teams reports that 180 presentations on cycling from all over the world are on the programme, in the form of sessions, round-table discussions and what not. Jan Gehl (rock star urban planner and architect), Janette Sadik-Khan (Commissioner of the New York City Department of Transportation), John Whitelegg (visiting Professor of Sustainable Transport at Liverpool John Moores University), Lake Sagaris (Canadian urban planner and journalist living in Chile), Pan Haixiao (Professor and Director of Land Use/Transport Studies at Tongji University in Shanghai), Dr. Vandana Shiva (world-renowned Indian environmentalist and philosopher). Oh, and me. The president of the European Cyclists Federation, Manfred Neun, states proudly that it is "The best programme we've ever had". Where I normally travel about with lectures about marketing bicycle culture and promoting bicycle culture positively, I'll be presenting something quite different and I'm looking forward to it. I get to wander deep into my own private forest and get back to Bicycle Culture Origins. I'll be sharing my observations as a Bicycle Anthropologist after three and a half years of staring at this thing called Bicycle Culture. Boiling it all down to the core - people. How large numbers of Citizen Cyclists can benefit a city and a society, the aesthetic, the secret marks cycling citizens leave on the urban landscape, the eight postures used by Copenhageners to wait at red lights, the Galapogos Islands of Bicycle Culture - Denmark and Netherlands - and the subtle evolutionary differences between the two, the five senses relating to cycling and suchlike. It'll be a pleasure to meet so many people working for a better bicycle future, right here in my backyard. And please... don't forget the Cargo Bike Races on Saturday! When I travel around with various lectures I tend to open with a crash course in understanding Copenhagen's bicycle culture. I explain how my friends and colleagues get a kick out of the demand for me to travel around the world talking about something as dull and everyday as 'bicycle culture'. 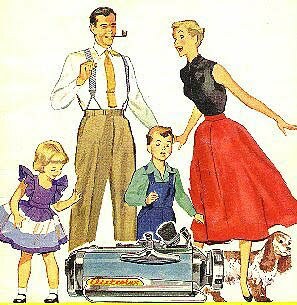 I call it Vacuum Cleaner Culture. I have even made a logo to explain this. We all have a vacuum cleaner, we've all learned how to use it and we all use it. But we don't go around thinking about our vaccum in the course of a day. Only when the bag is full do we roll our eyes and sigh. Kind of like when our tire is flat/chain is loose and we chuck our bike into the bike shop. We don't have a 'stable' of vacuum cleaners. 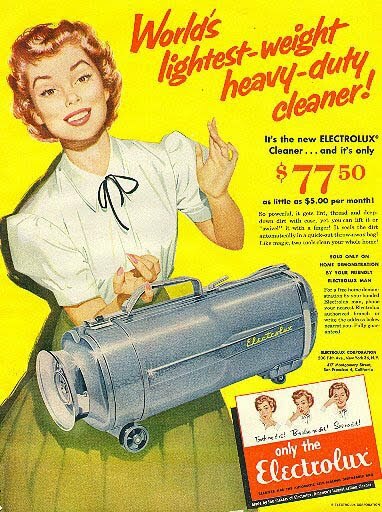 We don't buy vacuum cleaning clothes from our LVS or wave at other 'avid' vacuum cleaning 'enthusiasts' on the street. The relationship to our bicycles is the same as to our vacuum cleaners. They're both merely incredibly effective and useful tools for making our daily lives easier. In my Four Goals for Promoting Bicycle Culture lecture I compare the marketing of bicycles from the dawn of the Safety bicycle in the late 19th century - and up to the early 1950's - with the marketing of vacuum cleaners in the post war years. It was all mainstream marketing. Aimed at selling the product to regular citizens, as opposed to sub-cultural groups who fancied the Ordinary (penny farthing) and other contraptions. 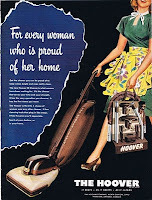 When technology made vacuum cleaners accessible and affordable, the same marketing prinicples were applied as to bicycles. ANYWAY... one of our readers sent us a link about a vaccum cleaner fetishist. A boy who LOVES his vaccum cleaners. For fun I thought I'd search for stats about how DANGEROUS vacuum cleaning is. I figured this writer over at Spacing Toronto could use some inspiration for articles that don't promote cycling negatively. Where are the safety nannies on THIS issue?! 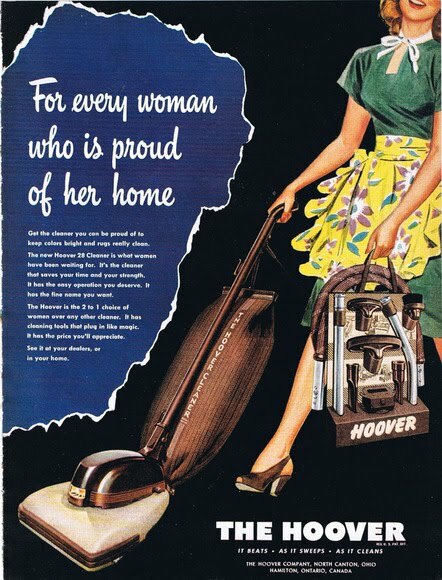 Every bloody household must have a vaccum cleaner! And these stats are only for the UK. How much carnage is going unchecked around the world? A few years ago, many of the classic old bike brands in Denmark started to get bought up by a handful of companies. Some names disappeared but others were so ingrained in Danish bicycle history that they stuck, even if it was a massive company doing the selling. SCO is one of them. SCO - or Smith & Co. was founded by Robert Jacobsen and Ivar Smith in 1905 and for many years was among the most popular brand in Denmark. You still see classic SCO's on the streets and they're lovely machines, like their mini-bike version below, from the 1960's. 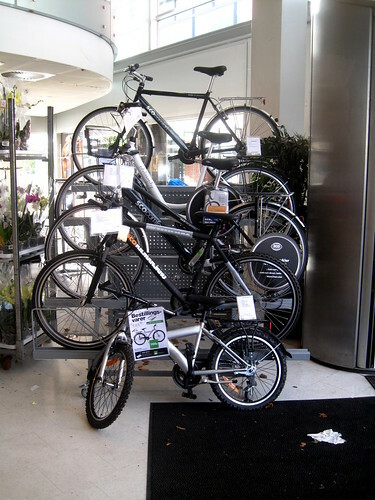 A trend began not many years ago where bicycles started appearing in supermarkets, including many of the classic brands. Gone was the iconic sticker proudly proclaiming a 10 year guarantee on the frame and gone was that special sensation of buying a bicycle from a bike shop. Now it was broccoli, beer, butter and a bicycle. Like in the above photo from my local supermarket, where modern versions of the SCO are on sale like so many discounted cans of beans. The City put in a traffic calming measure on this street next to Saint Hans Square in the Nørrebro neighbourhood. It was a perfect opportunity to plant some bike racks on the raised curb sections. This area is a hotbed of bars, cafés and restaurants so both the narrowed street and the bike racks are fantastic details. I also enjoy the symbolism of a car being forced to slow down and navigate past long rows of bicycles. It's like a sandwich. 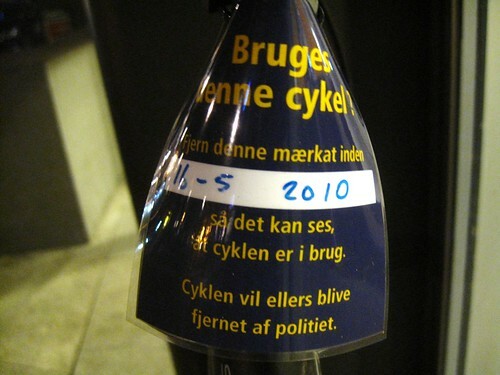 How lovely and polite, this tag placed on a bicycle at Copenhagen International Airport. With respect for the free passage of passengers and the emergency services, we ask you to please place your bicycle in the established bicycle racks in the future." "Is this bicycle in use? Remove this tag before 16.05.2010 so we can see that it is in use. Otherwise the bicycle will be removed by the police." 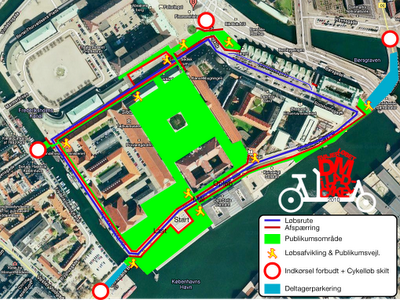 The upcoming Svajerløb 2010 - Danish Cargo Bike Championships - which Copenhagenize.com is co-sponsoring now has a finalised course. There is an island in the middle of Copenhagen, surrounded by canals, on which the Royal Library and the Parliament are located. Most of the streets will be closed off so there will really be a good, old-fashioned street race feel to the day. 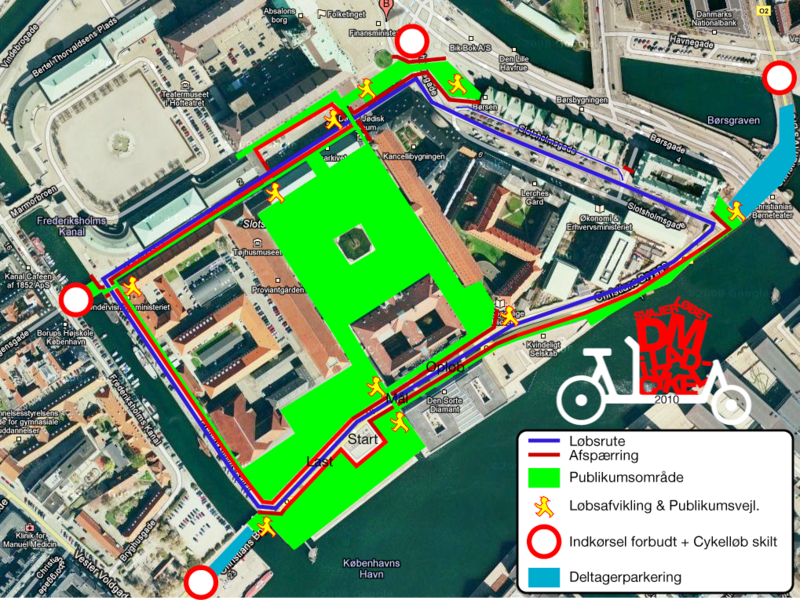 1.3 km circuit, starting at the Royal Library by the harbour, heading down a dreadful Paris-Roubaix inspired cobblestone street, past the national parliament, down along the ancient stock exchange - Børsen - and back to the start area to load car tires, newspaper bundles, et al, on to the bikes for the final lap. Any of you who are here for the Velo-City Global Bicycle Conference really should show up and, if you're up for it, sign up for the Team Relay. It's the most relaxed, folksy event of the day. It only costs 50 kroner [$10] to enter a team. 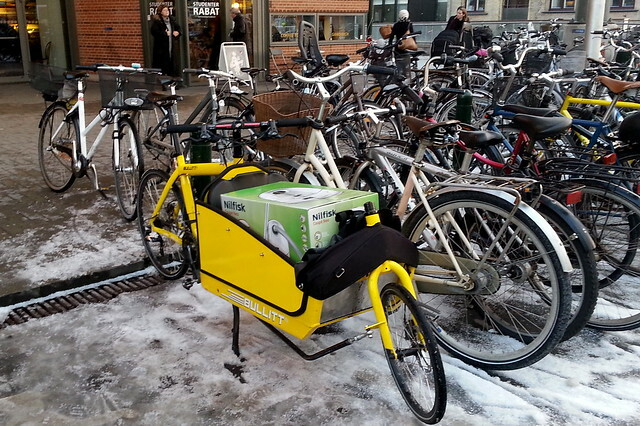 You need a cargo bike, though. Check with Baisikeli Bike Rental. I've learned that there will also be the Danish Championships in Brompton, as well! So be sure to enter that if you wish. Seven laps for the Bromptonites, but only one winner. One thing is for sure, it'll be a great day out and if you're a visitor you'll never see so many cargo bikes in one place as you will that day. Great little film about those two bedfellows - beer and bicycles. From San Diego and surrounding area. Thanks to Rich for the link. 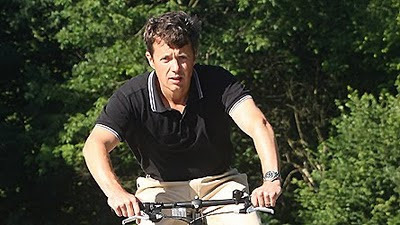 Crown Prince Frederik of Denmark is on an official visit in Washington DC and today he was on a bike ride with a bunch of people. 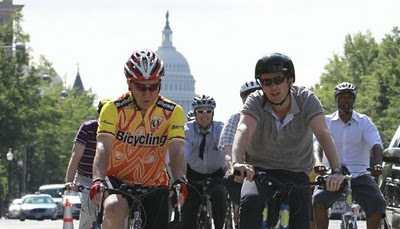 He's seen above, with a politically correct helmet, but riding relaxed in best Citizen Cyclist style next to Congressman Tom Petri, from Wisconsin, with other politicians and athletes in tow. The Crown Prince (he's even got his own website!) is a cool chap by all accounts. When I first moved to Copenhagen some 16 years ago I was a party in a flat and my friends pointed at a guy saying, "That's the Crown Prince of Denmark". I didn't believe them, of course, but the 'guy' confirmed that he was in fact the Crown Prince when I went over to ask. As you can see in the photo, the Crown Prince is no stranger to bicycles. He's Danish, for heavens sake. Nor is his brother, Prince Joachim, with whom I went for a bike ride in Mexico City. 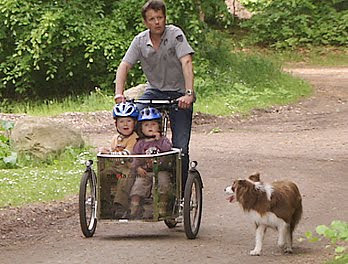 Indeed, the Crown Prince is known for cycling his kids to daycare and school on the family cargo bike. A really down to earth chap. If only that motorist knew that before she shouted at him and the others. He's just a Citizen Cyclist. And if you live in DC, keep your eye out for the Cultural Attaché from the Danish Embassy, Torsten Jansen. Quite possibly the most dapper cyclist in the city on his Pedersen bicycle and the architect behind the Crown Prince's visit. 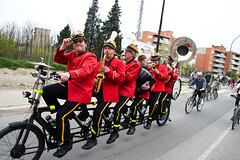 When I was in Lleida, Catalonia in April attending the 3rd Bicycle Congress, the conference arrangers hired 't Brabants Fietharmonische Orkest - or The Brabants Bikeharmonic Orchestra - to entertain the participants and locals alike. What a great bunch of chaps, both on and off the bicycle. 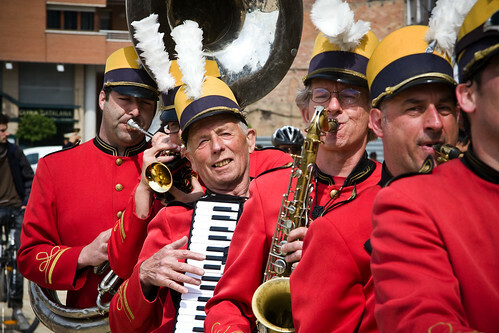 They travel all around Europe entertaining with their oompah music and everything revolves around the bicycle. Here's a little film I whipped up with the boys on the bike. Much easier showing a film about musicians than trying to write about it, dontcha fink? 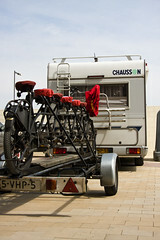 They have a driver who pulls the bike on a trailer around Europe to the various gigs. The volcano had paralysed air traffic - I was stuck in Barcelona for four days - but these guys bit the bullet and all rode home in this camper. Respect. 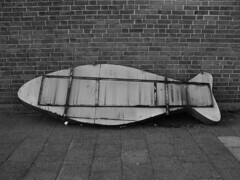 Website: 't Brabants Fietsharmonische Orkest. 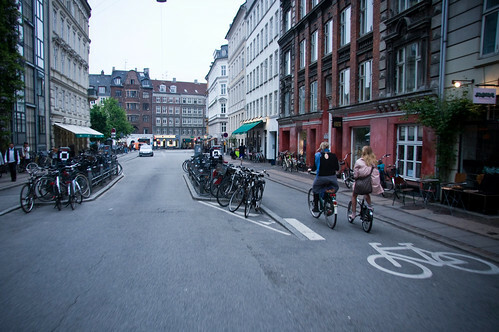 There are very few things that can't be done by bicycle in Copenhagen. We often blog about the various cargo bike variations in this city. Meet Jacob - aka The Bikeman. He's a bike mechanic with a rolling workshop. He has everything he needs in his cargo box, including a portable stand for suspending bikes. He'll go anywhere you need him to on his Bullitt in the city centre. Jacob also has arrangements with various companies. He comes out during work hours and the employees can go down and get their bikes adjusted, tuned, de-squeaked, whatever you need. No need to sacrifice your bicycle for a day by chucking it into a bikeshop. Brilliant. The professional bikeshop comes to you. 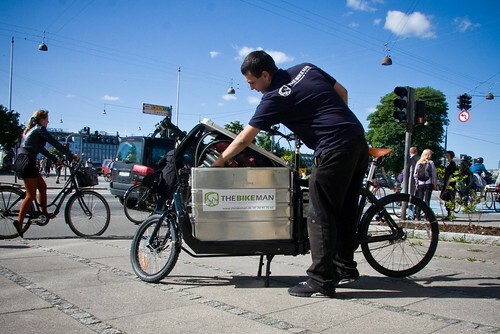 If you're in Copenhagen and need to get a hold of The Bikeman, ring 28 40 35 67. Advert from 1940's for Monark's new 'beauty bicycles' [beautycyklar], as they were called back then. The sign says The New Fashion. 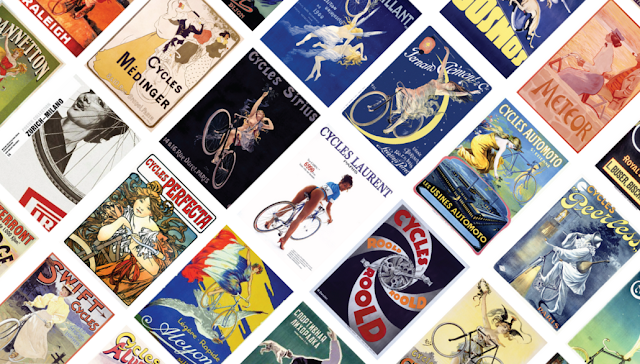 Selling bicycles as practical but gorgeous lifestyle accessories and not as sports equipment. A fine example of what I talk about in my travelling circus... um... lecture series... about marketing urban cycling. "The lines of the lady's jacket match the lines of the bicycle..." or so they tell us at 0:22. Monark is one of the grand old brands in Swedish bicycle history. Good old Charlie Norman sings a 'beauty song' about beauty bicycles. Brilliant vintage advert from the 1950's. An advert for Monark's Traffic School, from the 1950's. I love that kid-sized cargo bike. They have them at my son's school, too. An animated advert from the 1950's. From the days before Culture of Fear. Here's the boxer Ingemar Johansson - national hero - in a 1950's advert for Monark Bicycles. Interestingly, and unusally, in this advert they bang on about the health benefits of cycling - on a Monark, of course. Which fits well with the period in which the film was made and the focus in advertising on athletes like Ingemar, who were role models for an entire nation. Adverts with athletes often emphasised health and vitality. Oh and here's another Monark film relating to cyclesport. Displacement activity. Playing around with t-shirt designs. A Danish t-shirt with a Dutch word. Viva l'Europe. Available on a t-shirt from the Cycle Chic/Copenhagenize online boutique. Oh, and a canvas shopping/tote bag. Oh, and a coffee mug. And with this I step firmly into the wasp's nest. Buzz. Invading Urban Space - Repel the Invasion! Git yer roll of quarters ready, pilgrims! 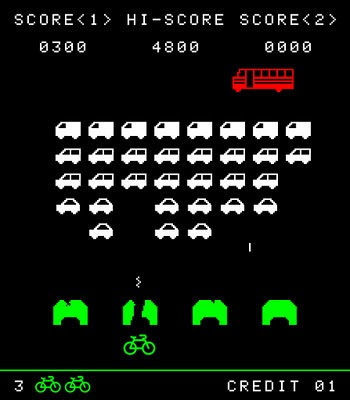 It's time to try and get that hiscore in [Urban] Space Invaders. 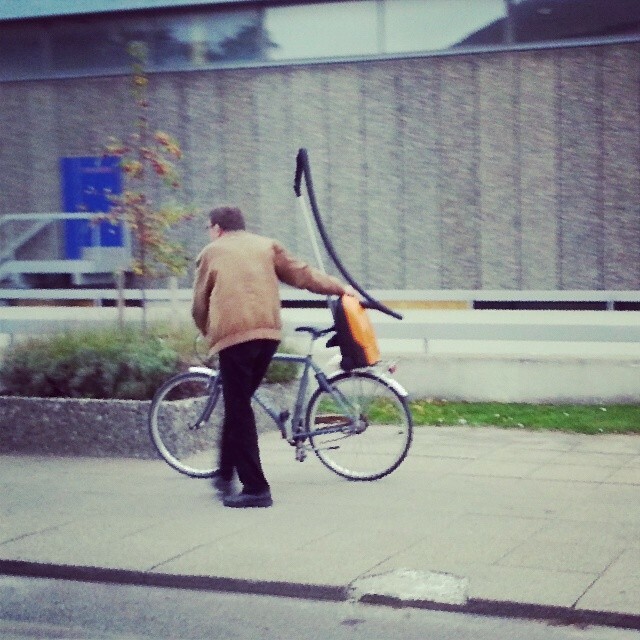 Sent to Copenhagenize by Antoine, in New Zealand. The dapper, two-wheeled host with the most of Bike Friendly North Shore. Check out their Flickr photostream for some NZ shots. 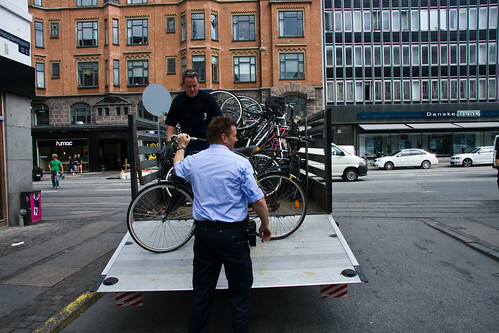 There was a recent, symbolic raid on bicycles last week where the police went after our cycling citizens for fun and profit. There was coverage on every news channel about the police handing out fines and in every broadcast and in every newspaper article one number was mentioned. 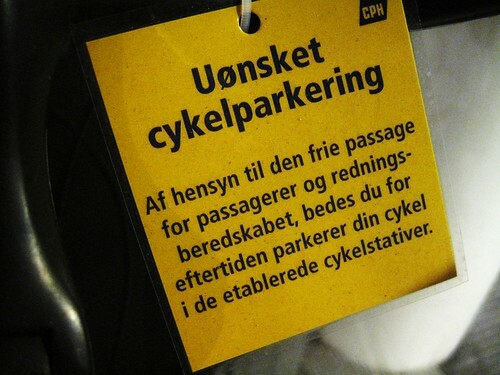 20,000 cyclists are admitted to hospital every year in Denmark. It had absolutely no context for the bike raid, but it was repeated again and again. I was thinking about the affect heuristic in relation to how we should be promoting cycling. Wikipedia has a page about the affect heuristic but Eliezer Yudkowsky has a great article about it on the excellent Less Wrong blog - a 'community blog devoted to refining the art of human rationality'. The affect heuristic is in play more than ever in modern society, thanks to the regrettable development of The Culture of Fear. Not least here in Denmark. The "20,000 cyclists admitted to hospital" isn't a number that a dozen journalists googled by coincedence. It's a number sent out in a press release so that journalists don't have to think for themselves. Not surprisingly, it's the Danish Road 'Safety' Council who controls the distribution of such statistics. They really should open a car dealership on the side. Stats like that one have incredibly negative effects on risk perception. Over the past two years, the flow of negative stats has increased. The main problem is that if you have a leak of negativity, you should also have a plug. We need a plug here in Denmark. 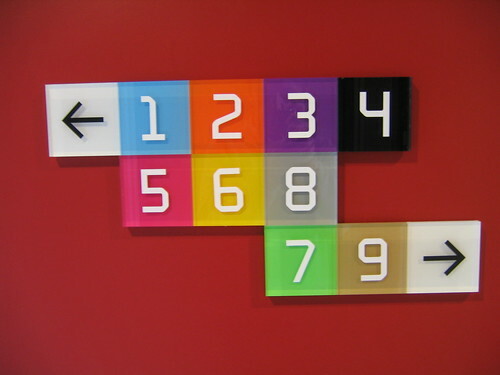 We need a counterweight to the car-centric flow of information. We need people to fight for cycling, because we're killing it off. That's what bicycle advocacy is all about. If you keep repeating something like "20,000 cyclists end up in the hospital every year", it starts to sink in that cycling is 'dangerous'. This is the affect heuristic at play in all the wrong ways. In the press we never hear details about these emergency room visits. Many, if not most, are minor injuries to arms and legs. We don't hear whether or not most cyclists walk out of the emergency ward and ride home, which is quite likely. 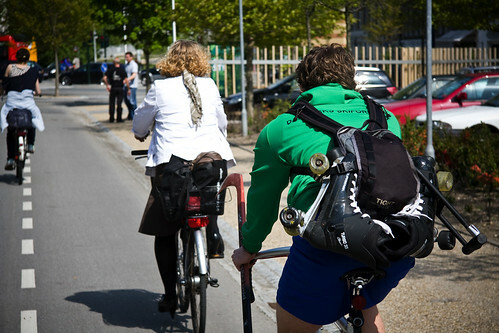 I recall a stat from Norway about how 90% of cyclists who visited a hospital were on their bike again within the week. An important detail to include, don't you think? Provides a rational balance to the shockhorror angle. I was at the hospital last week, actually. Just for some tests. Got talking to the doctor who told me that she commutes by train from Odense - an hour and a half away from Copenhagen. I asked, innocently enough, if she had a bike parked at the Nørreport train station - which is a 10 minute ride from the national hospital. No, no... she 'didn't dare cycle in Copenhagen'. I assured her that we live in one of the world's two safest countries to cycle in. She was interested to hear that but she's been affected - affect heuristic again - by the negative press cycling has had over the past two years. The City's Bicycle Office knows that scaring people off of bikes doesn't do anyone any good. 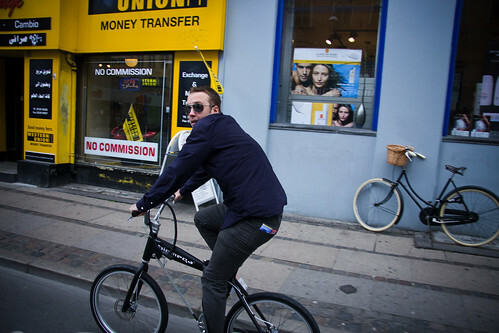 In an interview with a Toronto newspaper, Andreas Rohl, project manager for Copenhagen's cycling infrastructure, said "We try to never talk to the public about cycling safety. [...] We just feel if we start to talk publicly about safety, people will start to doubt if cycling is safe..."
Let's look at numbers. Danes cycle 30% less than they did in 1990. According to the brilliant research by Prof. Lars Bo Andersen at the University of Southern Denmark, if will still cycled those 30% we could save 1500 lives a year through the health benefits of cycling. We both spoke at a conference last year, actually, and I asked him about it. He said that the 1500 number is low. Way too low. I'm looking forward to seeing what number he comes up with. Shouldn't this positive news about the health benefits of urban cycling be repeated constantly? Shouldn't stats like this be one of the plugs to stem the flow of car-centric information? 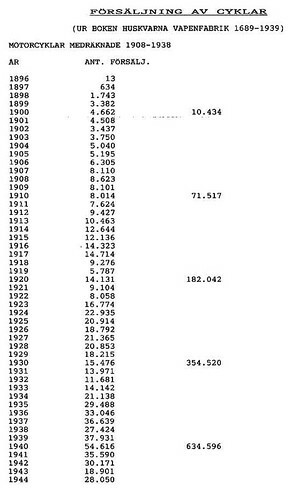 Let's look at the 20,000 number with layman's eyes. 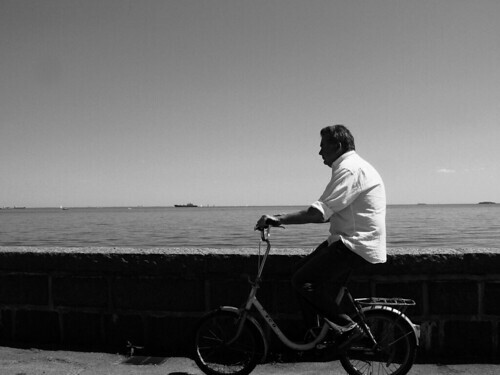 According to the national statistics, 18% of Danes cycle each day. 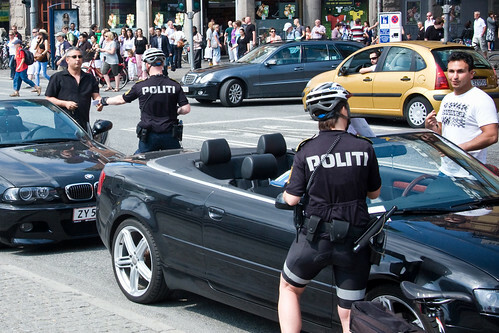 There are 5,540,241 people in Denmark, according to the latest numbers from last month. That means there are 997,243 people commuting to work or school each day. Let's be realistic but, at the same time, conservative. Let's make that number 1.3 million to include short trips by bike that never get counted in commuting stats. It's probably much higher. So... 1,300,000 people use a bicycle each day. 20,000 are admitted to hospital for minor or major injuries. That means that only 1.5% - probably lower - of our daily cyclists are unlucky enough to need medical assistance. On the other hand, those 1.3 million people ride every day. 20,000 hospital admittances is 0.042%. Which headline is most positive and likely to encourage people to cycle? 20,000 cyclists hospitalised each year! Only 1.5% [or 0.042% if you like] of cyclists hospitalised each year! Most of them for minor injuries! Traffic deaths are always tragic. No doubt about it. 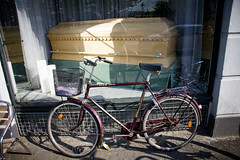 In Denmark every around 45-50 cyclists are killed in traffic accidents. Like everywhere else, the majority die in accidents with cars. Which is why we shouldn't ignore the bull. Let's say 50 cyclists lose their lives each year. Out of the same 1.3 million Danes. Let's balance that with the fact that, according to the comprehensive research by Prof. Lars Bo Andersen, cyclists live seven years longer, are less ill whilst alive and enjoy a higher quality of life. And I recall reading that BECAUSE we cycle so much we save 600 lives a year! That's AMAZING news! Where are the headlines? "Safety in numbers... get on your bike and make cycling safer!" "600 lives saved every year by cycling!" "Save your life! Ride a bike!" There is much talk of risk per kilometre [or mile] travelled. This is probably the most car-centric twist on traffic statistics in history. I heard a year or so ago that this way to angle the stats was an invention of the car industry, but I've never been able to find out where it originated or when it was first brought into use. Which all makes it feel a bit like the mystery surrounding the invention of Cap-and-Trade C02 trading schemes by Enron and Goldman Sachs and Al Gore. If risk per kilometre was worth anything, space travel would be the safest form of travel. However, after a quick google, I learned that 32 astro/cosmonauts have lost their lives, out of 517 people who have travelled in space. Not great odds. I'll stick to my bicycle. It takes me to the moon and back every day. The whole point is that those of us who wish to promote cycling should focus most intensely on countering the attempts by others to brand cycling as dangerous. Including those who provide negative affect heuristic statistics. It's promoting cycling, it's basic marketing. We're not doing it good enough. It's madness.